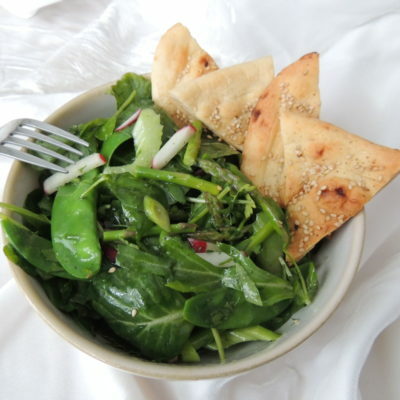 It looks like a lot of ingredients but this dish comes together quickly and is very tasty and satisfying. 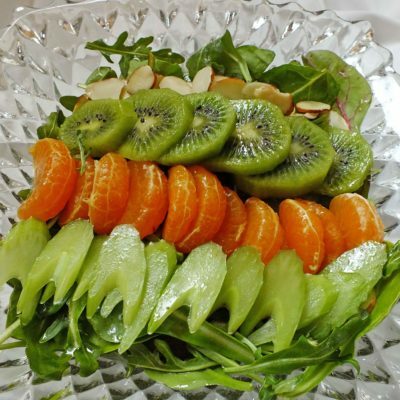 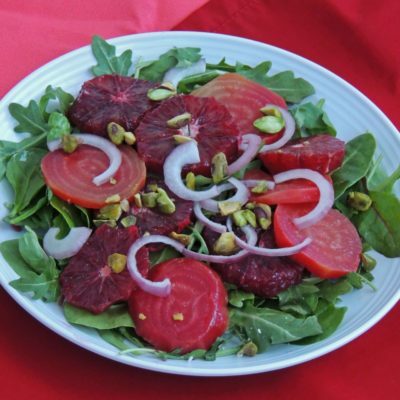 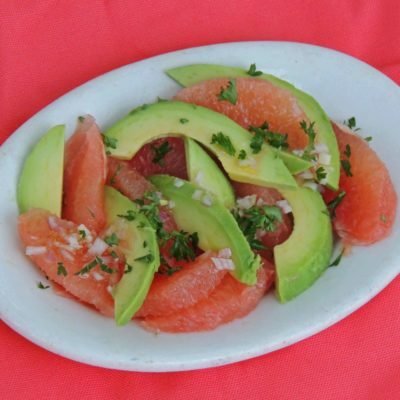 This is a refreshing and cleansing salad, especially good in later winter. 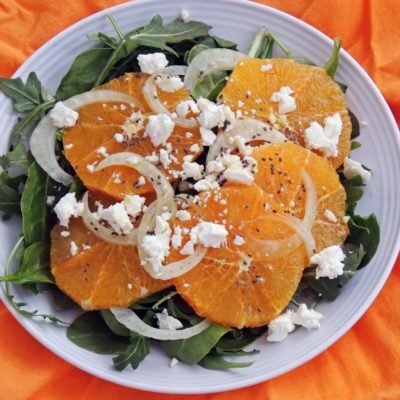 Juicy, ripe, sweet oranges and crunchy fennel are marvelous in this salad. 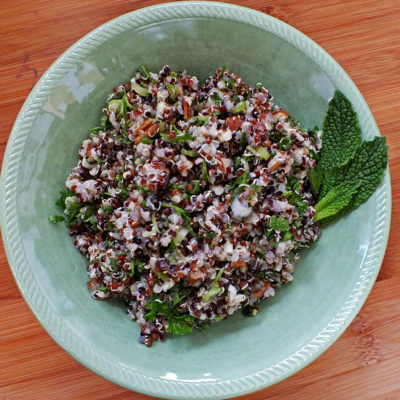 The addition of pecans and fresh mint make this tabouleh unique and delicious! 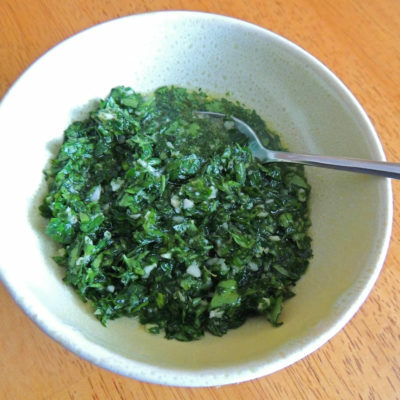 Gremolata is an Italian condiment and wonderful flavor booster. 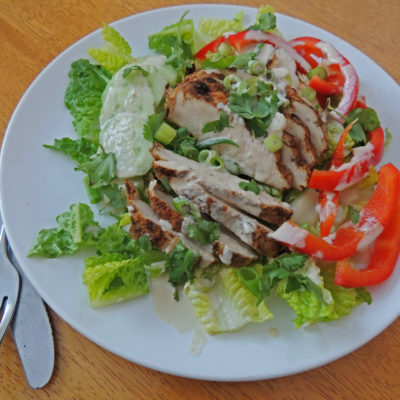 This is tasty alternative to traditional cabbage slaw. 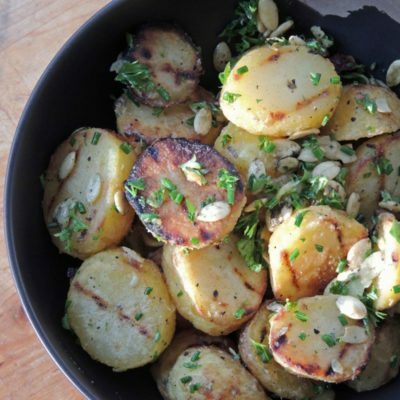 This is the perfect summer potato salad with an added crunch of toasted pumpkin seeds.